While Amazon Prime Day is now a well-established annual bargain-hunting phenomenon in overseas markets, Australia has had just the one so far. That’s because Amazon entered the Australian e-commerce market late, arriving Down Under in December 2017 to an underwhelming response. Despite that, Amazon made every attempt to quickly improve its catalogue of products and has expanded its warehouse network by adding a second one in Sydney. 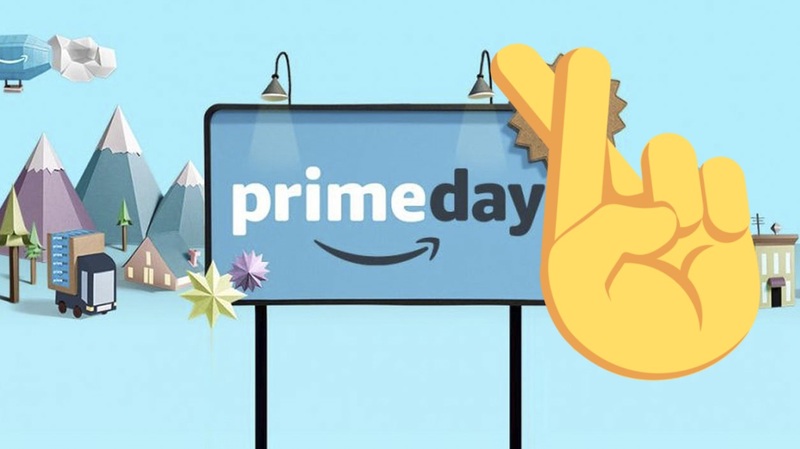 With its Aussie ambitions growing, Amazon finally debuted Prime Day Down Under in 2018, offering some excellent bargains across every category to its Prime members. Amazon raised the price of its Prime subscriptions in the US by 18% last year, leaving Australia with one of the cheapest fees globally. With benefits including free expedited shipping, early access to Lightning deals, and free subscriptions to Prime Video and Prime Music, it’s well worth considering signing up for Amazon Prime even if it&apos;s not just for Prime Day 2019. Australia wasn’t the only country to debut Prime Day in 2018 – Singapore, the Netherlands and Luxembourg joined the bandwagon as well – making it one of the most successful Prime Days in Amazon history. But was it worth all the hype, and will it do better in 2019? Let’s find out. Amazon Prime Day began in the US in 2015 as a celebration of the company’s 20th anniversary, with more deals on offer than Black Friday at the time. Today, Prime Day is Amazon’s members-only sale held once a year, historically in July. While it began as a one-day sale, 2018 saw the offers last for 36 hours. To make the most of Prime Day you’ll need to get yourself an Amazon Prime membership which, in Australia, will set you back just $6.99 a month or $59 a year. Signing up for Prime means you’ll have free access to Amazon’s streaming services, including Prime Video, Prime Music and Twitch. Members also get free access to Prime Reading and Prime Photos for all their ebook and storage needs. Most importantly, a Prime membership gets you free shipping on domestic purchases, no matter the price of the product, and free delivery for international goods costing over $49 bought from the global section of Amazon’s Aussie storefront. Prime Day may have begun as a birthday celebration for Amazon but, like Black Friday, it&apos;s no longer a one-day bash. Prime Day has grown from a 24-hour selling and buying frenzy to a 36-hour celebration that still ends too quickly for some shoppers. Even though Prime Day debuted in Australia in 2018, Amazon kept the sale on for 36 hours to match the shopping spree in more established markets. It was the longest Prime Day ever, anywhere. So don&apos;t be surprised if Amazon decides to take it up a notch and stretch Prime Day to 48 hours. However, last year&apos;s Prime Day, which began on July 16 and ended July 17, was held later than usual due to the 2018 FIFA World Cup semifinals. Normally, Prime Day is scheduled for the second week of July, and we fully expect it go back to normal this year, meaning Prime Day 2019 could well begin on July 8 and continue into July 9. How did Amazon perform on its first Australian Prime Day? According to statistics from Hitwise, Amazon got over over 3.2 million visits (on both the US and Australian sites) on Prime Day 2018, with Aussies preferring the US storefront despite a ban on shopping from overseas sites after new GST laws were passed. That ban, however, has been lifted, which could be good news for Australian shoppers this year. Data from Hitwise shows that Aussie shoppers searched for mobile phones and game consoles the most in the lead up to Prime Day 2018, with Amazon’s own Echo and Kindle products amongst the 10 most viewed items on Prime Day itself. The high volume of visits resulted in a nice number of sales for the e-commerce giant with a conversion rate of 7.77%, the highest rate that any top Australian retailer has reached. Prime Day 2018 earned Amazon a whopping US$1 billion in sales. Prime Day 2018 saw Amazon sell over 100 million products around the world and over one million smart home devices – not just Amazon ones but Philips Hue lights, Hive thermostats and various manufacturers’ smart plugs. It was the biggest day ever for Echo devices, Fire tablets for kids, Kindle e-readers and Fire TV products. A lot of the products that went on sale globally aren’t available on the Australian storefront. According to Finder.com.au, Amazon Australia only had about a tenth of the deals offered to US customers and significantly fewer than those available to Canadian and UK members. Where the US typically offered 2,800 deals at any given time, the Australian version only had 340. On the upside, discounts were more generous. That said, Amazon is still relatively new in Australia, so we can hope it does better this year. And despite the low volume of deals available Down Under, Amazon did sell a whole load of gaming consoles, particularly the Nintendo Switch. The latest console from Nintendo had over 71,500 page views, followed by Sony’s PS4 Pro at over 31,000 views, according to Hitwise. 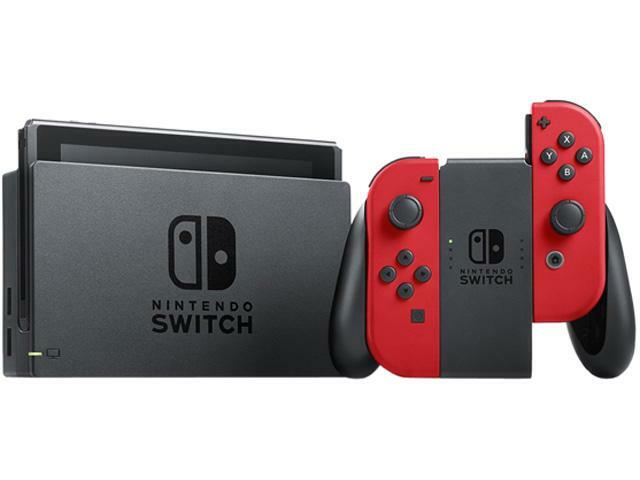 In fact, the Lightning Deal on the Nintendo Switch was offered twice and both times saw the console sell out within seconds of the deal going live. While the Nintendo Switch and the PS4 Pro were last year’s bestsellers, some of the discounts on other tech products were also rather significant. For example, the Xbox One S 1TB Minecraft Bundle was on sale for just $199, down from its usual $398 listed price. Bose’s very popular and excellent QuietComfort 35 II noise-cancelling headphones dropped down to a low of $329 a set, although it was even cheaper over the Black Friday sale period in 2018. Amazon’s own Echo devices saw significant price drops, with the original Amazon Echo smart speaker selling for just $109 over the Prime Day sale, while the Echo Dot dropped down to just $39 a pop. Even the basic Kindle ereader saw a great discount of $30, bringing the price down to a very affordable $79. Amazon has been expanding its catalogue ever since it arrived on Aussie shores, and we’re fully expecting the online marketplace to outdo the 2018 offers. First and foremost, though, expect to see Amazon’s own products to receive significant price drops. Prime Day 2019 would be a great time to nab yourself the 2018 range of Echo devices, including the All-new Echo Dot and Echo Plus. You’ll also find great offers on other smart home products, including the Philips Hue starter kits and bulbs, and also on robot vacuums like the iRobot Roomba 960. Expect the Amazon-owned, and rather expensive, Ring Video Doorbell 2 to receive a discount as well. With more TVs available on Amazon Australia now, we think Prime Day 2019 would be an ideal time to upgrade your home entertainment system, especially if you’re in the market for a good 4K smart telly. We saw premium headphones receive great discounts on Prime Day last year, as well as over the Black Friday shopping period, meaning you’ll definitely be able to snag a pair of Bose or Sony headphones for less. Amazon has also partnered with Samsung to offer Aussie customers an easy one-stop shop for all of the South Korean manufacturer’s products. We’re hoping that some of these, including the latest Galaxy S10 range of handsets, see a slash in prices on Prime Day this year. And avid readers are definitely going to be able to pick up a Kindle, even the premium Kindle Oasis, at a cheaper price. What does Prime Day mean for Black Friday and Cyber Monday? 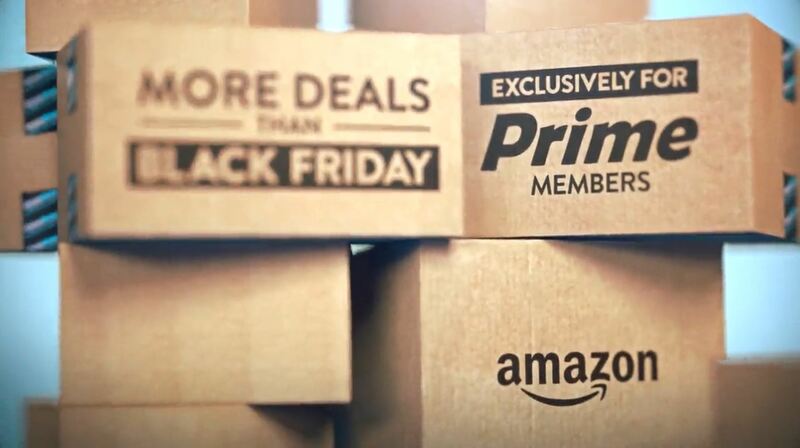 Amazon has historically prioritised Prime Day over Black Friday – according to Digitalcommerce360.com, 67% of the 2018 Prime Day deals available overseas were lower than comparable deals on the preceding Black Friday. In Australia, though, we saw some prices drop lower during the Black Friday sale period as compared to our first ever Prime Day. Perhaps Amazon was testing the waters, and we fully expect the company to outdo itself during both sales in 2019. But Prime Day is more important to the firm, and we’d expect its discounts to be deeper this year, especially on its own devices. Prime Day: why does it matter more to Amazon? There are some crucial differences between Prime Day and Black Friday. The first is that Prime Day is Amazon’s own day. It’s right there in the name which, of course, refers to Amazon’s Prime membership program and associated services. Amazon doesn’t own Black Friday, and that means ultimately it’s just another retailer shouting for attention – a massive retailer with a really loud voice. Black Friday is a sales event for the entire retail sector. With Prime Day as its own take on November sale period, it makes it much harder for rivals to muscle in on something that Amazon has effectively created from thin air. The second and more important difference is that Black Friday doesn’t create new spending. It just moves it slightly. As we’ve discovered in recent years, the money people spend over the Black Friday period is money they were probably going to spend anyway: all Black Friday really does is concentrates pre-Christmas shopping in the last week of November. Prime Day spending is different in two ways. First of all, people aren’t spending the money they’d already planned to spend on Christmas presents. And secondly, they’re buying mainly for themselves, not for others. There’s another key benefit for Amazon. Its global bestsellers on Prime Day weren’t just Amazon devices; they were Amazon devices that connect to Amazon services. Fire TVs, Kindle Fires, Echo devices, Alexa remotes. Each one of them connecting to Amazon Prime, and each one of them requiring a Prime membership to buy in the first place. So when Black Friday rolls around, Amazon will have a whole bunch of Prime members for whom shopping on Prime is the default, and who might want to enhance their Amazon-powered smart homes with Amazon-branded Black Friday deals. Prime Day means that for Amazon, Christmas now comes twice a year.